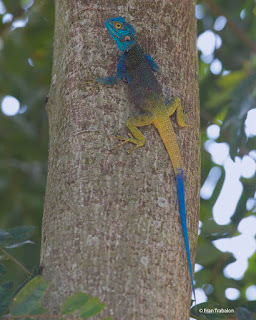 Blue-headed Tree Agama Acanthocerus atricollis ugandaensis. 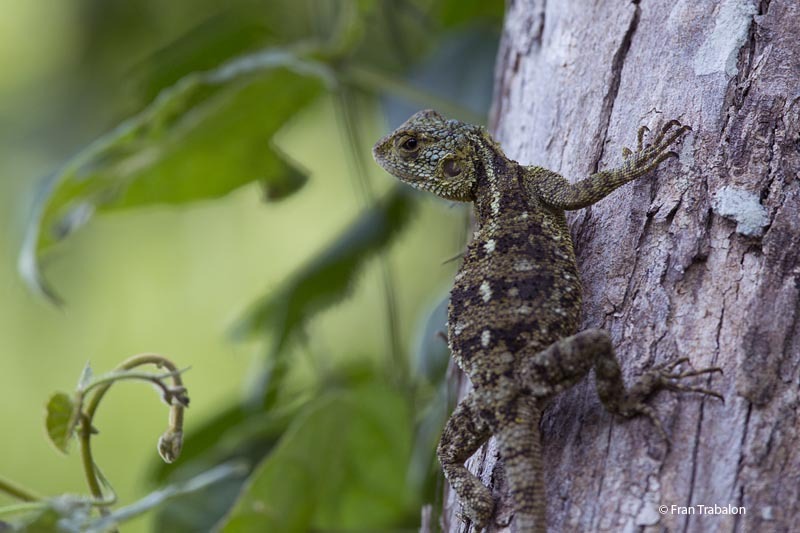 Female, Queen Elisabeth National Park. Blue-headed Tree Agama Acanthocerus atricollis ugandaensis. Male, Queen Elisabeth National Park. Unidientified Agama, Bigodi Swamp, Kibale National Park. 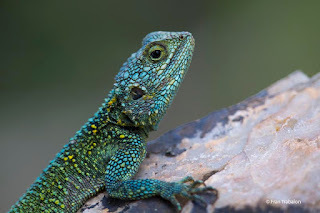 kw: Agama arboricola de Cabeza Azul, Black-necked Agama or Blue-headed Tree Agama, Ugandan Reptiles.